How safe is Veeko Hoverboards? Every other individual is going crazy for getting the self balancing electric scooter to their home. While hoverboards can be really expensive there are still cheaper hoverboards which are sufficient to meet your day to day requirements. If you are done comparing the features of hundreds of hoverboards, you just need to relax. We have brought to you one of the best technology hoverboards with excel quality standards and mesmerising features which will definitely take you high. Veeko is one such brand which offers one heck of features in just a small amount of money. We have collected a bunch of information for you to check out before you buy one. Also, these boards are capable of becoming your style icon. You ride with it in the park, and all eyes will be on you. 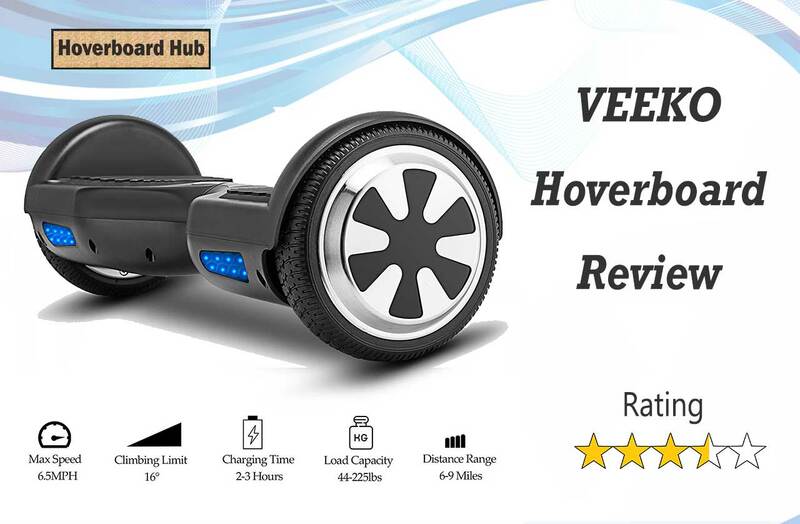 After an extensive research work, we have presented a detailed review of Veeko hoverboards for you to understand its pros and cons. These boards are totally safe and certainly certified by the UL 2272 standards. Like any other standard hoverboard, this has also undergone a huge number of tests after which it has successfully won the certifications. These hoverboard are 100% certified by the Underwriters Laboratory after passing through hundreds of rigorous tests. They are classy in look and smart in built. There is an assurance of quality and safety which makes these hoverboards really safe for you and your family. You also need not worry about the fire accidents as these are covered with anti-fire plastic material cover which protects it from overheating and thus catching wild fires. The quality of battery in the Veeko hoverboard is unique and authentic. It is certified and hence does not have any issues. It lasts longer than other hoverboards. These are of prime quality and manufactured by some of the world’s trusted battery manufacturers. You no more need to worry about your hoverboards posing a threat of fire due to overheating or sparkling. It is all free from leakage and short circuiting. The good thing is there have not been any complaints regarding its batteries so far. These hoverboards are light in weight and hence are really portable. They weigh just about 22 pounds which is really less as compared to other brands which can go as high as 40 pounds. So you can easily carry it from one place to the other. Also it can carry people with weight upto 225 pounds. This is somewhat greater than what most of the hoverboards provides. You certainly won’t want to wait hours for your electric scooter to recharge. You should not worry about this as well. Most of the hoverboards take a lot of time in charging the battery fully. However these hoverboards can full up the charge in just about 2-3 hours. So you no more need to wait for long hours to refill your electric scooters. There are several reasons why you should buy the Veeko hoverboard this season and very less why to not buy it. The first reason is that that it is really cheap hoverboard that comes with tonnes of amazing features. Also this is capable of carrying fairly high weight unlike all the standard hoverboards. The only setback you will find in this is that it doesn’t has inbuilt speakers. Else this is the best gift you can give to your loved ones. All in all, these self balancing electric scooters are reliable, light and come with great comfort. In less amount of money you get exciting features like LEDs, good speed and range and nice built. It has two motors of 350 watts each which makes it powerful enough to handle speeds and bumps. It is recommended for all those who are intending to buy the best self balancing scooter in the given price range. Moreover, it is light-weighted and can be easily carried from one place to another.